Regardless of whether the news is bad, such as problems in North Korea, or positive, such as the boom in popularity of Korean culture, current issues occurring on the Korean Peninsula are very relevant to the people of Japan. However, considering that, as Japanese, the people of Korea are our closest neighbors, how much do we really know about them? Both the Korean language and ethnic Koreans have even more of a global presence than we would probably assume. 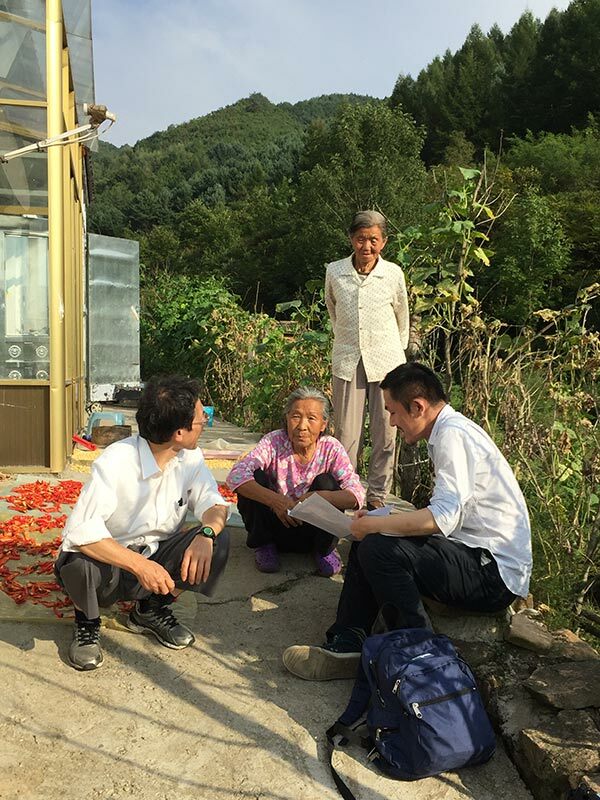 Assistant Professor Takeya Takagi has been performing field work around the world, deepening our understanding of ethnic Koreans through discourse analyses of the Korean language in areas it is spoken. Speaking in broad terms, my specialty is sociolinguistics, specifically Korean linguistics and dialectology. There are 2 major approaches to analyzing language: deductive and inductive, but my research is mainly performed using inductive analyses. In other words, I observe how the language is used in daily life situations, and analyze what kinds of situations it is being used in, and by what kinds of people. This allows me to uncover traits of the language. I perform my research in this way because I believe that language cannot be analyzed without seeing how it is used in real situations by real speakers, or without listening to their actual speech. For example, I have previously recorded the daily conversations of 84 speakers of Japanese and Koreans, and analyzed them using discourse analysis. By performing this analysis, interestingly I discovered that expressions in Japanese which are meant to encourage the opposite party to speak, could be confusing and hard to understand when spoken in Korean. Although in many situations direct translations could be performed between both languages, I realized that when using expressions at an operating level, there were a large number of differences. I think this raises an extremely important question regarding the tendency to focus on the similarities between the 2 languages. As I have continued this research, I have become confident of the importance of considering language at the level that it is actually implemented at. 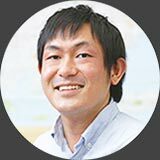 Assistant Professor Takeya Takagi performs fieldwork related to investigating dialects. His investigations involve recording natural conversations between 2 speakers of the dialect in question. In order to create a state of mind in the subjects that is as close as possible to an everyday situation, particular attention is paid to the atmosphere when recording. The Number of People Who Speak Korean as Their First Language is Almost the Same as the Number of Italian Speakers Worldwide! Currently I am performing investigations and research into the use of Korean by ethnic Koreans throughout the world, not just its use within Korea itself. The term “ethnic Koreans” is a general one used to refer to those who speak Korean as their first language. In addition to the 75 million speakers of Korean in the North and South of the Korean Peninsula, there are also 7.43 million speakers of the language throughout the rest of the world. Besides the Korean Peninsula, the greatest concentration of speakers of Korean is in China, with 1.8 million speakers residing there, centered around 3 provinces in the north east of the country. This is followed by the United States, with 1.7 million speakers, and Japan with 500,000. The remaining 500,000 speakers are scattered throughout Russia, central Asia, and the former Soviet Union (according to statistics as of 2010). In terms of total number of speakers, Korean is ranked between 13th to 15th worldwide, approximately the same as the number of speakers of Italian. Both the Korean language and ethnic Koreans have more of a global presence than we would probably assume. Ethnic Koreans have spread throughout the globe in repeated waves of migration, all while experiencing colonization, the Korean War, and the division of their nation. It’s for this reason that, in order to gain an overall understanding of ethnic Koreans, it is invaluable to have a grasp of how geographically broad the community is. I have been performing my investigations and research into the use and awareness of language by ethnic Koreans in China since 2014. The ethnic Koreans in China are descendants of those who migrated from the Korean Peninsula to escape colonization by the Japanese. The present community primarily consists of individuals who are between third and fifth generation. They only speak Korean for traditional reasons, and have continued to preserve their cultural background. However, in recent years, China’s domestic circumstances, national strategies, and economic development, have led to changes in population, the abolishment of ethnic Korean schools, and the loss of community. The numbers of people who speak Korean in China continue to decrease year by year. In a village I visited in Jilin Province, there was only a single surviving Korean speaker. This individual was already in their 90s. When I first visited Jilin in 2014, I learned of this precarious situation, and began a battle against time to move forward with my multiple research projects. 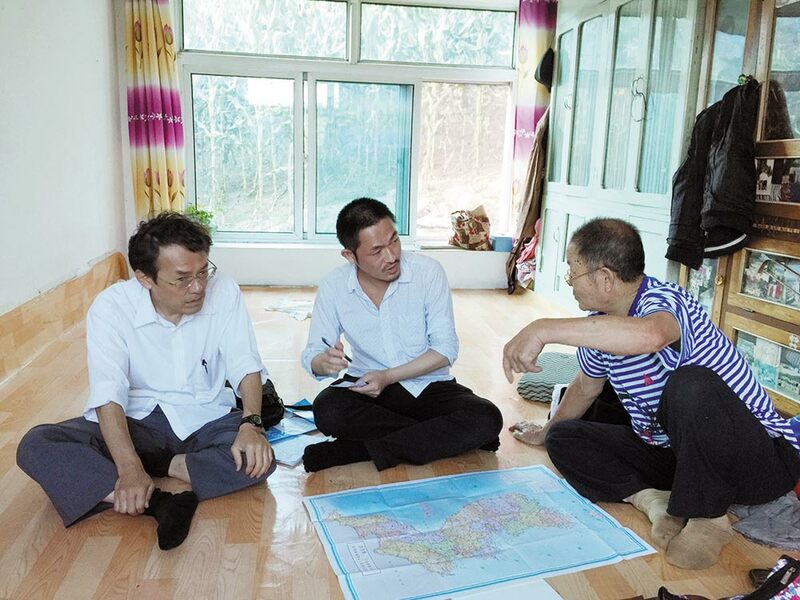 The “Differences in Korean Spoken in East and West China Project” involved visiting villages and towns along the North Korean and Chinese border to collect samples of rare dialects. The “Identity Transformations Caused by Movement and Interactions Project” involved visiting migrants living in urban areas of China to examine their use and awareness of language. In addition to this, I am the only foreigner participating in the “Chinese Korean Dialect Materials Collection Project,” currently being promoted by the National Social Science Fund of China. The results of these efforts are being presented at international conferences that act as Chinese Korean language development forums, such as ICKL (International Circle of Korean Linguistics), and ISKS (International Society for Korean Studies). In recent years, a boom in the popularity of Korean culture has created more chances to come into contact with Korean culture and customs through the media. The Korean language classes I teach are very popular every semester. The participants hope to deepen their understanding of Korean culture through the study of the Korean language. They also hope that this will lead to more harmonious communication with people from areas where Korean is spoken. I think we should welcome an increase in the numbers of these kinds of young people who want to study the language. 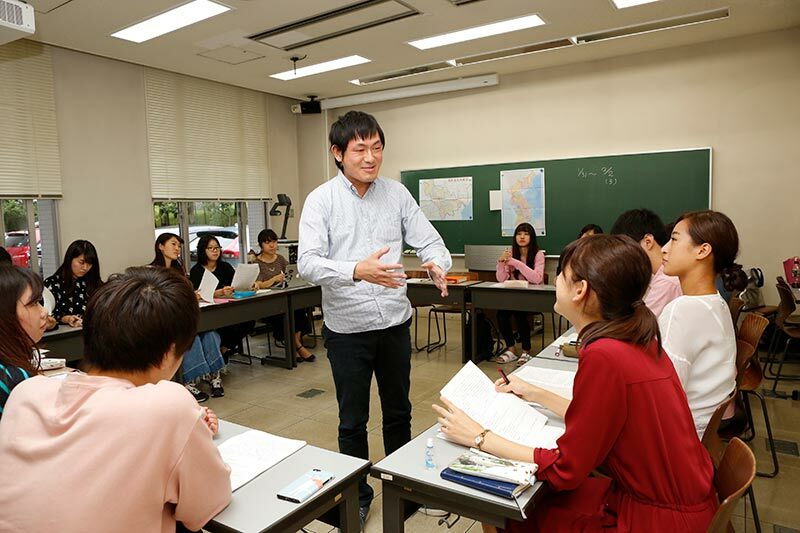 However, my aim is for students at Shonan Fujisawa Campus (SFC) to not only use Korean language as a communication tool, but to have an even higher goal of truly understanding the language. Specifically, if my students deeply observe ethnic Koreans from both an inside and outside perspective, they may be able to understand the social and cultural traits of these communities. Or, by analyzing South and North Korean culture, I believe it may give them the important ability to reflect on their own country of Japan. To the Japanese, ethnic Koreans seem to be falsely similar. However, despite their language, society and culture being similar to our own, they have their own distinct differences. This is precisely why deepening our understanding of them gives us both the opportunity to understand the rest of the world, and gain a new understanding of our own country. Takeya Takagi’s seminar primarily revolve around research presentations, Q＆A sessions, and debates regarding Korean culture and society. He aims to unveil the cultural and social characteristics of these regions through analyzing them from the perspectives of language, education, lifestyle, communication, history, etc. My field work involves visiting areas where ethnic Koreans live and recording the daily conversations they have with other individuals who speak Korean as a first language. I aim to use this work to uncover linguistic and cultural traits while taking into consideration the relationship and situation that led to the conversation being recorded. In particular, when investigating ethnic Koreans living abroad, I aim to record as many conversations from first generation immigrants as possible. This is because the following generations are influenced by changes to their lifestyle, and their linguistic traits become diluted. This reason in particular is why my investigations and research are a battle against time. My investigation into Korean spoken in urban areas of China like Liaoning, Jilin, Beijing, and Guangzho for my research is now complete. My plan is to continue this investigation in other areas such as Heilongjiang and Inner Mongolia. After my work in these areas is completed, I want to move on to the Koryo-saram who inhabit counties formerly belonging to the former Soviet Union, and American-Korean communities. Looking towards Japan, the numbers of Koreans living in our country already make up more than 5% of the population. Investigating and describing Japanese-Koreans is something that needs to be performed as quickly as possible. From a mid to long-term perspective, I would like to create digital archives of the materials gained during these investigations, and ensure they are stored in a way that allows as many people to access them as possible. In the future I hope to comprehensively verify these materials, and explore the interactions of the Korean language and ethnic Koreans with other ethnicities and cultures throughout the world, to see what kinds of diversity this has brought about. Assistant Professor, Faculty of Policy Management, Keio University. Graduated as a specialist of Korean language from the School of Foreign Studies at the Tokyo University of Foreign Studies. Completed a doctoral course at the University of Tokyo’s Graduate School of Humanities and Sociology. In 2016, won the Chosen Academic Society’s Research Encouragement Award. Is actively performing fieldwork to gain an understanding of diversity in the Korean language and amongst groups of ethnic Koreans living throughout the world. Areas of expertise include Korean language studies, sociolinguistics, and dialectology. Ph.D. in Literature.